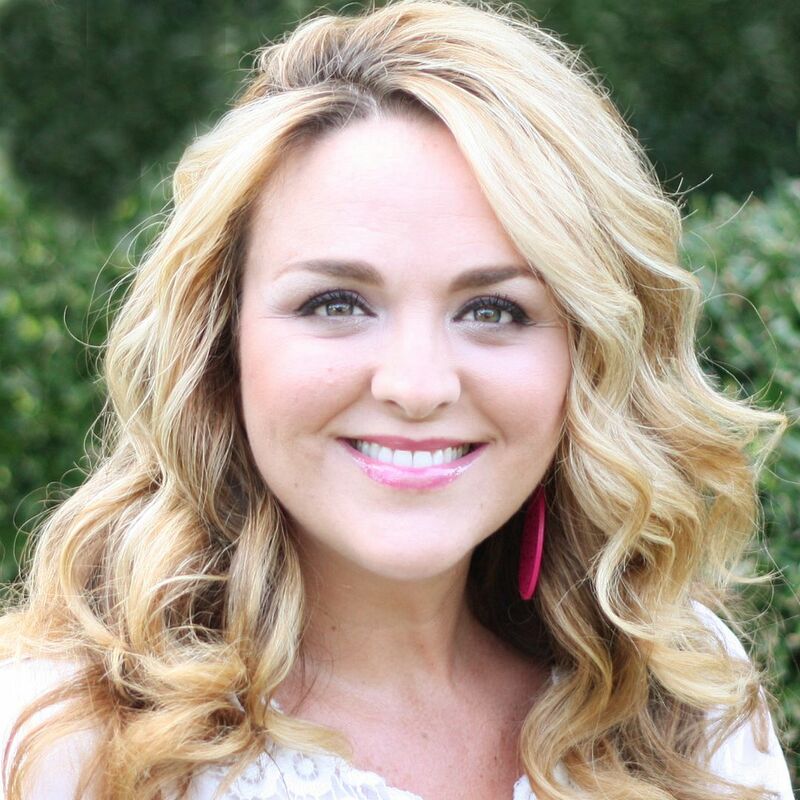 I am so excited to have Jennifer Yates as our guest designer today! Her work is bright, cheerful, and super inspiring... When I look at her pages, it gets me excited to pull out my paper pieces and create some homemade embellishments! 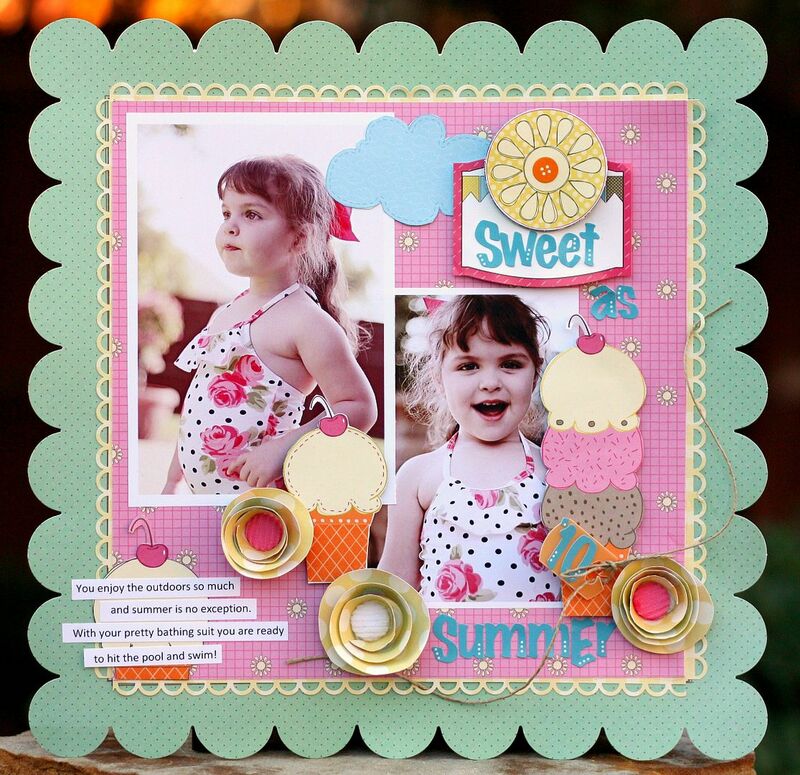 Jennifer designs for Pebbles Inc, Nikki Sivils Scrapbooker, Creative Charms, Inspired Blueprints, and teaches locally at The Little Blue House in Keller, Texas. Hi Everyone! 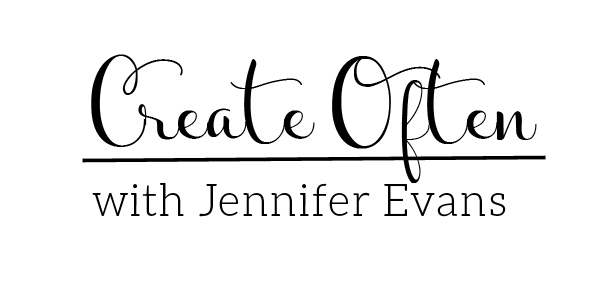 My name is Jennifer Yates and I am so thrilled to be here at Create Well, Create Often! I live in Flower Mound, Texas with my husband Mark of 15 years. We have two wonderful kids, who I stay at home with, Mason (6) and Maren (3). We have a house full of four legged animals; two dogs, two cats and three frogs. We have a very crazy and energetic household to say the least! Coming from a graphic design background I have always been creating, but discovered the joy of scrapbooking after the birth of our son in 2004…and haven’t looked back!!! When I am not scrapping I enjoy photography, reading and watching mindless TV!!! I don’t know if I really have a “style.” But if I had to describe it I would say it is bright and colorful with clean lines and touch of whimsy! 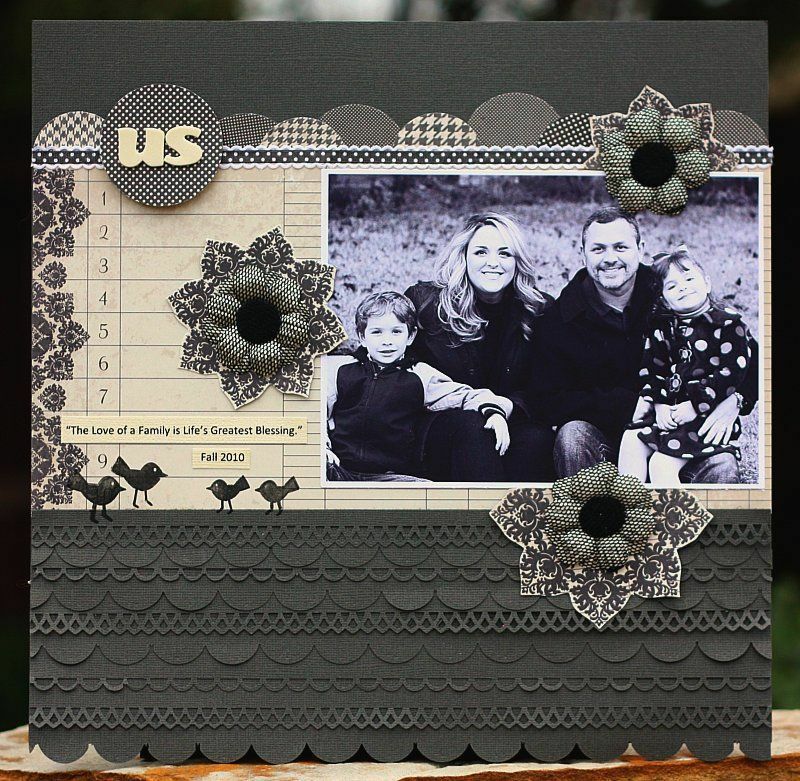 I love to create dimension on all my layouts…so pop dots and scissors are my best friend. I also love making embellishments out of paper! Oh so many things! I love perusing through the variety of crafting blogs on the internet. Sketches are one of my favorite sources of inspiration…it gives me a building block for my layout! I find so much inspiration from Etsy.com…the talent there amazes me! And of course above all…PAPER, PAPER,PAPER! I love just collecting all the different lines out there, putting them together to create something memorable. There are so many wonderful and talented designers that I admire…a few of my favorites are Davinie Fiero. I love her paper and color combinations as well as all the fabulous sewing and stitching she uses on her layouts. I love Susan Weinroth and Kelly Noel. Their layouts are always so clean, colorful and unique. Even though I am not a huge “misting girl” I love everything Maggie Holmes creates and all the misting she uses on her layouts! Her photography gorgeous too! I am a s-l-o-w scrapper…I will sometimes think for days about what I want to do and sketch the ideas down on paper. 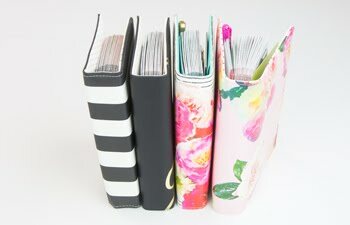 I don’t scrap in order so I will find the photos that inspire me at the time and begin creating the layout, coming back to it the next day to add or change paper or embellishments. If I need a starting point I will always turn to sketches to help me begin. Paper and embellishments come next and that is where I try bringing the theme/colors from the layout all together. I guess you could say I’m all over the board when it comes to creating!!! I just want to create something that my children will hopefully cherish. I love that they can look back on those important and everyday moments in our lives. With as young my kids are right now, I can already see the excitement on their faces when they are looking through the albums and see themselves as babies or just remembering a special occasion or event. It makes me happy to know that memory is captured forever!!! If anyone is willing to look and be inspired by work I am grateful. And I hope that they can see the enjoyment that it brings. It sounds cliché but there is no right or wrong way to scrap. Just create from your heart and it will be cherished! 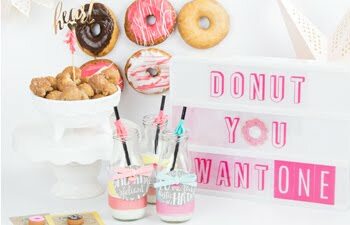 To see more of Jennifer's creativity, you can go to her blog, The Pink Room. You can also follow her on Facebook and Twitter. Create Well: There is no right or wrong way to scrap. Just create from your heart and it will be cherished! Thanks, Jennifer! I just adore your classic style!